Thompson, soon to get to work on that 34.71 era. They’ll need to make roster room, so someone bumps his shin on something, or you go inactive list for Mark Appel who pitched last night. They have an extra bull-pen arm so someone out there could be a candidate over Florimon or Featherston. He’s on regular rest and did well in his first AAA start. Can he repeat it? Another shot for him before a potential return to Reading. Saturday would be regular rest for Appel who pitched last night in Moosic. If he’s inactive or DL they could start Mark Leiter in the second game. The two days off following the Saturday double-dip from P’tucket will allow Manager Dusty Wathan to reset his rotation to his liking a little–or just follow through with the extra rest and consider returning Ricardo Pinto to Reading. Later in the day, LHP Wander Perez, this years reclamation project who hadn’t pitched in affiliated ball for a number of years, was sent to Clearwater-EST (Extended Spring Training). With extra relievers around, that part wasn’t surprising. We can also draw from that that he won’t be back right away such as with the common shin contusion. 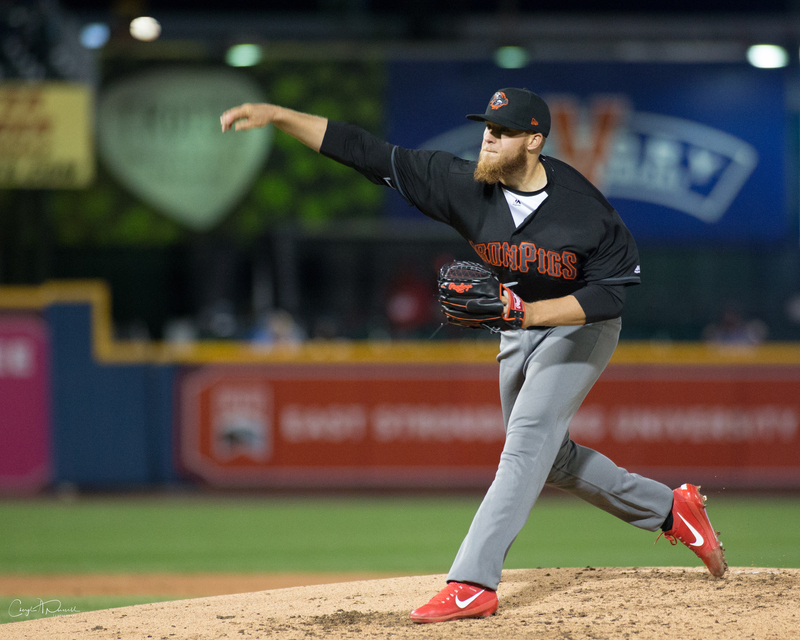 Likely, Pinto sticks as a reliever, or as he’s sent back to Reading over the Easter break either Dalier Hinojosa or Colt Murray are activated from the IronPigs DL. As always, we’ll wait to hear. Upcoming probables in the Game Notes match what I wrote this morning, above.